I think we might be on the move and after 2 years we will probably look for something a little smaller and not so expensive. The house we are in is rented and there is no real chance of us buying a property just yet due to one thing or another so we need to keep looking and work out the best way to do that. The rent of the house is in my opinion over priced and with the cost of everything else increasing balancing everything is becoming too difficult. The house is a 3 bed 3 bathroom affair in the middle of everything. It is 3 years old yet has problems with a leaking roof, cracks in the wall, wonderous plumbing and the phone signal around the house is getting worse everyday. It still has a great view, ideal location and plenty of space but I am beginning to tire of the noise from the bike shop and the constant worry when it rains of where the next leak will come. Naturally the landlady remains absent and unattached to all this, rather just sits and waits for the rent to be paid and lets the house continue to not be maintained, which is a shame. I think the approach from the landlady is that there always someone who will live there and therefore pay the money, but this will come at a price to her because if she wants to rent it again so much will need to be repainted or repaired to make it more viable. She not set foot in the house since we rented it in 2012. However, searching for property to live in is not as easy or as hard as people make it out to be. 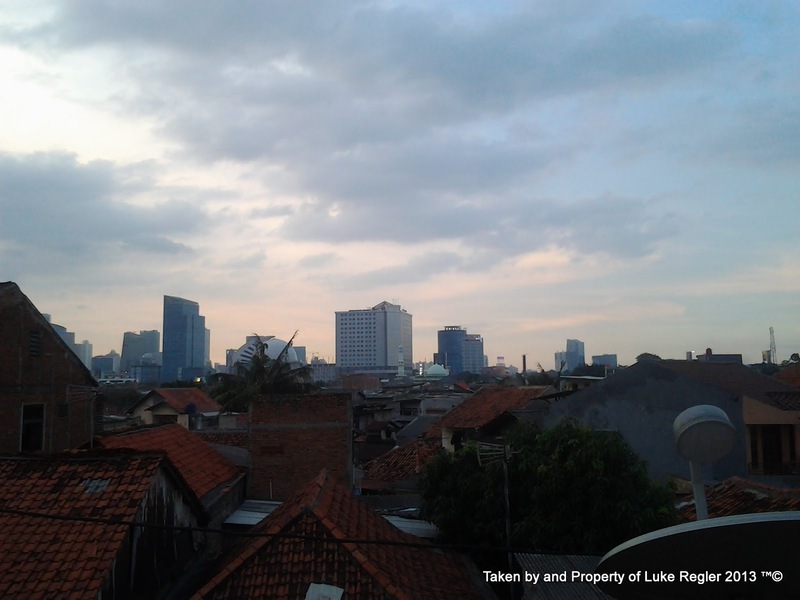 You can go on line and search for property for rent or sale or pop into the various estate agents who will help you and give you a price and then when they see a westerner give another price because we are all far richer than those in Indonesia, yet I dont have a house or a car so hows that? Or you can roam the many streets and see what is being locally advertised and then send in all those that are not Indonesian to look at the place and negoiate a price before the westerner is seen and yep the price will go up again. The second option is cheaper and far easier. So yesterday we rode around the streets close to home looking for places that are for rent and found 3 or 4 places with phone numbers displayed which we will follow up and ask how much is the rent, how big and how many bedrooms. We cant really move too far away from where we are now due to the school Belvan goes to, the closeness of work for Yovita and the fact that her family is within walking distance and that is good news for her and the kids. Plus if we move too far away then the cost of transportation will negate any saving on the rent over the year and therefore potentially be more expensive. The final reason we have to consider is if we lose our current housekeeper (it took 5 months to find this one) then we have to again rely on Yovitas family and my working hours for child care which becomes more stressful by the minute for all. I hope we can find something we can settle into for even a year while we work out what comes next. 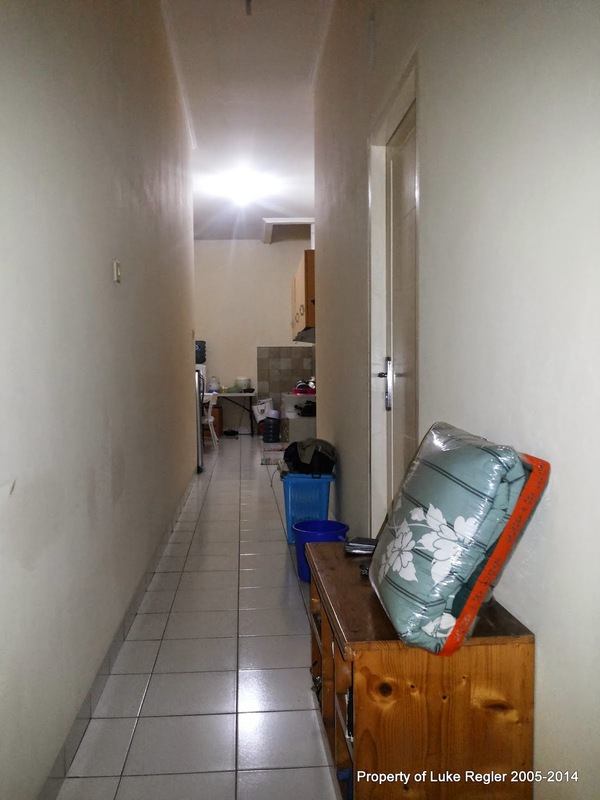 Of course if we cant then we will stay where we are and look again next year, but in the mean time all the housing in and around Mampang and Pancoran seem to be turning into guest houses therefore shutting out people with families who want to live there. I guess we would ultimately be forced to move somewhere else where there is more affordable housing but further from everywhere we want to be. If we do stay then I guess I will have to buy some paint and give the place fresh look as it does need it. The roof can continue to leak and the plaster cracks widen but I am sure a coat of paint will make things better in some ways. Afterall, I live in a country where painting over the cracks is the solution to most things.